Friday the 13th came on a Thursday this month -- and nothing unlucky happened. Well, maybe one -- if you count the fact that I set up the library computers before opening time and was working in my office on a Summer Reading Program report when the branch manager came in and asked why I hadn't set up the computers yet? I did. I know I did. I'm beginning to send queries out to agents, again. Which is really poor timing because the end of August is when all those school teachers and school librarians begin sending out the writing projects they've worked on all summer. Plus, the National Society of Children's Book Writers and Illustrators (SCBWI) 4 day conference just ended on Monday, which means that the thousand people who attended it are all fired up and will also be sending out things. My stuff will be lost in the flood of slush. I'm also expanding my stories about Lance, the Golden Retriever. It's either going to be a three book picture book set -- or a short novel, covering three different time periods beginning in the summertime and culminating in the snowy wintertime. We-shall-see. I'm hoping to have it ready to go by next Spring, in time to take it to the Vermont College of Fine Arts in Writing for Children and Young Adults' novel workshop. I'm trying to arrange time off from work. (we have very little money for substitutes this year.) Time off to take the 9-year old down to the Smithsonian. And time off for me to write. Three days in a row (without a child around) would be lovely. Click your way over to Nathan Bransford's blog and read the entry for Thursday the 13th of August. He has collected a long list of literary terms which he is calling a Book Publishing Glossary. It's everything you need to know when talking to people in the publishing world. 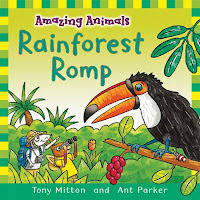 Rainforest Romp by Tony Mitton, illustrated by Ant Parker. New York: Kingfisher, 2009. Amazing Animals series. Available now. 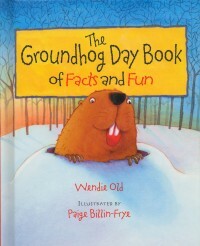 Each double-page spread features the discovery of a different animal: "The tapir is a mammal. It's hoofed and rather stout. It sniffs for tasty plant life with its clever, stretchy snout." The featured animal on the page is cartoony, but fairly accurately presented. However, the proportions to the rest of the animals/ plants/ explorers in the picture are definitely off. The fun part of this book comes at the end. Other animals are hiding in the illustrations. 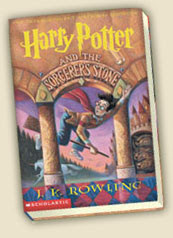 Duplicate drawings on the last page encourage the child to leaf back through the book to find them. Other books in the Amazing Animals series are coming out. One other title is available now: Amazing Animals: Super Safari. 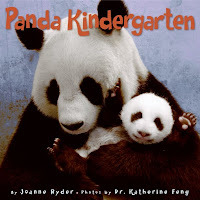 These books would be good for preschoolers or a Pre-K class as introduction to a few unusual animals. 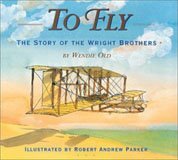 The School Library Journal blog, Neverendingsearch, is featuring videos of two speeches by the Newbery and Wilder winners. A taste of Neil Gaiman about writing and a bit of Ashley Bryan as he got the crowd excited about poetry and sharing his first experience with bookmaking. 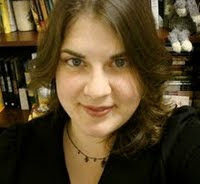 Labels: Ashley Bryan, Neil Gaiman, Newbery/ Caldecott/ Wilder Banquet, videos. Nonfiction Monday came on a Tuesday again. Not my fault. The library was closed yesterday because they finally installed all of our the RFID readers and self-checkouts. And we had to get trained. etc., etc., etc. 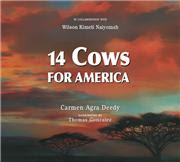 On our new book shelf today, I found 14 Cows for America written by Carmen Agra Deedy in collaboration with Wilson Kimeli Naiyomah, illustrated by Thomas Gonzalez. Atlanta, GA: Peachtree Publishers, 2009. When I saw it, I imediately was reminded that my friend Mary Bowman-Kruhm is also writing a book about the Maasai, in collaboration with another Maasai named Jackson Minteeng Liaram. You can read more about that on her blog. In 14 Cows for America, Kimeli, who has been in Medical School in New York City (USA), returns to his village in Kenya. That evening, his contribution to the storytelling was the tale of 9-11. He saw the smoke and the falling buildings. Kimeli knows his people. "They are fierce when provoked, but easily moved to kindness when they hear of suffering or injustice." "To the Maasai, the cow is life." A great ceremony is held where an American diplomat accepts 14 cows donated from this village to the American people. Beautiful double-page spreads show the dancing, the music, the celebration. Lyrical writing tells the story. 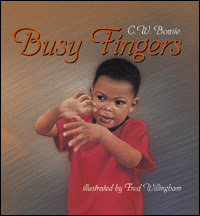 Even more interesting to adults is the endnote -- Where Wilson Kimeli Naiyomah explains the background behind this story. And what happened to those special cows? They are still in Kenya being cared for by Maasai. A special flag, commemorating this gift of sacred cows, flies at the U.S. Embassy in Kenya and will be placed at the National September 11 Memorial & Museum in New York City when it opens. For more Nonfiction Monday posts, click here. 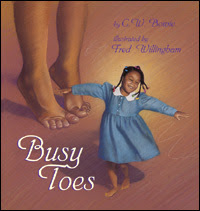 The Summer Carnival of Children's Literature has been posted! What's a Carnival of Children's Literature? Will there be cotton candy and carnival rides? No, no cotton candy or carnival rides, but a huge gathering of blog links that range from Books and Bloggers, to Authors and Writing, to Fun Stuff. Hmmm, actually some are sweet as cotton candy and others give you the breathless excitement of carnival rides. So go take a look-see by clicking right here.